The income-tax department, grappling with tax slippages, seems to be also lagging when it comes to optimum utilisation of its own assets. The department’s spends on office spaces in Mumbai — considered to be the most expensive real estate market in India — have been objected to by the Indian Audit and Accounts Service. 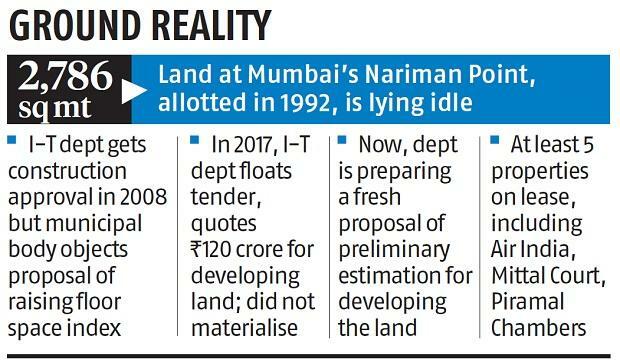 The audit office, a department of the Comptroller and Auditor General of India, in its draft report, has highlighted that the tax department spent Rs 1,000 crore on rentals despite possessing a huge land bank at Nariman Point since the 1990s, sources said. The audit office has sought details of the department’s rental expenses in the past two decades for compiling a final report, they said. 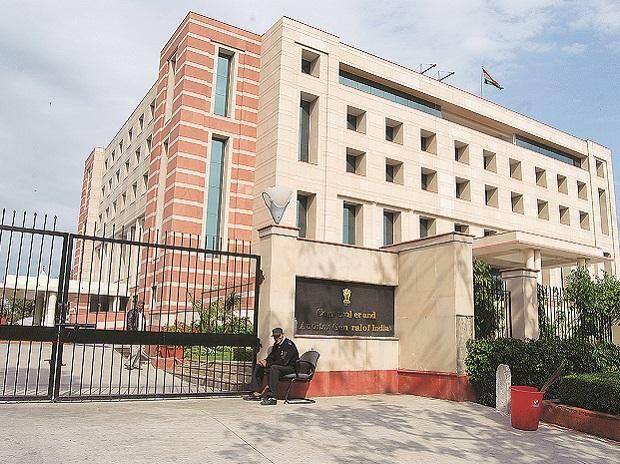 The tax department was given the land at Mumbai’s posh location, measuring 2,786 square metre, with a minimum capacity of 100,000 sq ft, in 1992. Instead of constructing an office building, the department recently took a few floors on rent at the nearby Air India building. The department has at least five lease properties in prime locations such as Piramal Chambers at Lower Parel, Mittal Court at Nariman Point. The rental expenses of these properties run into crores of rupees. A query sent to CAG office did not elicit any response. After the audit office’s objection, the Mumbai tax department is learnt to be preparing a preliminary estimation to construct an office building with advance facilities for officers and even taxpayers. A proposal will soon be sent to the Central Board of Direct Taxes for approval. According to sources, the tax department had invited bids for awarding construction and designing of the project three years back. Then the estimated construction cost was around Rs 120 crore, excluding the service charges and cess. The department had asked the bidders to execute the project in 24 months. However, this never materialised. The new proposal might estimate development cost at above Rs 200 crore, said a person in the know. “(Not utilising the land for) the past two decades, is criminal waste of money… This is because of sheer bureaucratic delay and negligence,” a tax official said. This land got in-principle approval for construction in 2008. But the matter was stuck with the state due to issues with the floor space index (FSI). At present, the tax department has an approval for 3.5 FSI. "Initially, the Brihanmumbai Municipal Corporation (BMC) had two issues with the land development. One, the proposed FSI, and second, meeting the Coastal Regulation Zone norms,” said an official familiar with the development. The official said the department had earlier proposed 1:7 FSI, which was rejected. Later, the department brought it down to 1:3, which was accepted. Despite this, the development never took off. The department owns another huge land at Bandra Kurla Complex, alloted in 2005 with a building potential of another 100,000 sq ft. The Central Public Works department took the job of building a structure and completed it two years back.